For iOS 10 users the world over, TweakBox is the best alternative to Cydia there is, offering a ton of apps and games for free. You can find out more information about it and what it offers by clicking the link and read on to find out how you can install it on iOS 10. Installing the app on iOS 10 is as simple as installing the configuration profile using the steps below. We have also provided you with a video walkthrough to help you. TweakBox is packed with great apps, tweaks, and games, making it hard to know just where to start. Well, why not give Spotify++ a go. A modified app, Spotify++ offers all the premium Spotify features completely free, no monthly subscription needed. Get all the music you ever wanted, completely free; check out the link for more details. 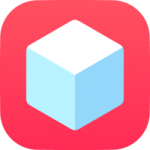 TweakBox is a completely free app installer to use and because it doesn’t require Cydia to work, anyone on iOS 10 can use it. Why not give it a try? It will take little time to install and if you really don’t like it, simply delete it. Follow us on Facebook and we’ll keep you updated with all the latest news. what are you saying. english please. Can you hack MLB taps 17 for unlimited gold and cash ? It keeps saying that the site isn’t available and I need help asap. I’ve tried to download clash of clans hack but it doesn’t work? Tweakbox you are unable to download coc hack on my device why? It might be the case that COC is soft banning you for few minutes. wow , cool. Thanks Team TweakBox . You guys rock !!!! Its awesome man. cheers !!! So the reason why my Pokémon go will crash every time I try to open it is because I have IOS 10.3.3? I love you team tweakbox. You are the best app developer out there. cheers !!! When I start tweakbox it instantly takes me to an app and I can’t get back on tweakbox why ? I have ios 10.3.3 but when i open the 8 ball pool app it just crashed. I Have ios 10.3.3. I have downloaded 8ball pool Long Lines From Tweakbox. But when i open the 8ball pool game it just crashed. Tweakbox installed fine but everytime I try to download an app it comes up with the message Unable to download app. Any ideas what the problem is. This is getting annoying Why can’t I verify Spotify ++? When I open tweakbox app ,i feel soo good man. thanks team tweakbox. restart device and open safari again. Can you hack zynga poker ? Apps are fixed or not. Hey. I have a problem with ur app guys ! I can’t download any of ur tweaked apps anymore! I dont know why? Can u guys tell me why i got this problem ? I’ve used tweakbox for about two months to use Spotify++ but now tweakbox downloads, and I click tweaked apps and it won’t open the tweaked apps section so I can get to spotify++. Like I’ve deleted and redownloaded it and it does the same thing could you help? Sure we will do that in 48 hrs. I am unable to download Movie Box or Playbox HD from TweakBox.There is a green tick next to the apps but just will not install.I downloaded the new Tweakbox app and since then has not worked properly. You might be busy but could you hack “A planet of mine” to have all IAPs purchased? tweakBox working on Iphone 7+ with IOS 10.3.3 ? Hi. I was trying to install kodi from tweakbox, but always stop at half +/-. It doesn’t work. can you check it out, please? Hi Tweak Box.Please Fix 8 Ball Pool Long Lines. When I want To Open It, It Just Crased. Hey, tweakbox isn’t working for me, im trying to install Snapchat ➕➕ and on my iphone 7 plus it’s doesn’t show the device management. Do you guys think you can help me? Does this not work on iPad 4 because it’s 32 bit? Still a way to check brake iPad 4 on 10.3.3? My Snapchat blue and purple isnt working at all it keeps telling me that it needs to be verified every time I try nothing happens please help! can you add a game called Extreme car driving simulator with unlimited money mod please? also how can i restart clash of clans cuz i messed up big time also i cant reload my x-bow or inferno towers or eagle artiliry and i cant edit my village or gear up buildings please help me!!!!!!!!!!!! I love TWeakBox. its so cool man. I got the profile installed on iOS 10.3.3 but the apps won’t install anybody know why? Why did this stop working? It was working fine a few days ago then all of the sudden said that it isn’t trusted on my phone ? My tweakbox stays at a white screen. It won’t load, what do I do? Pls let coc jack download on iPhone 5 it keeps telling unable to install why?? ?